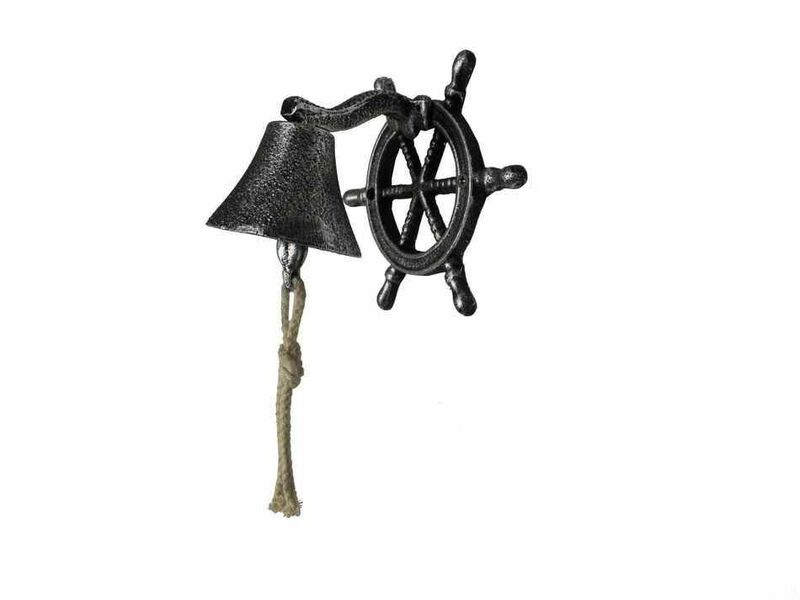 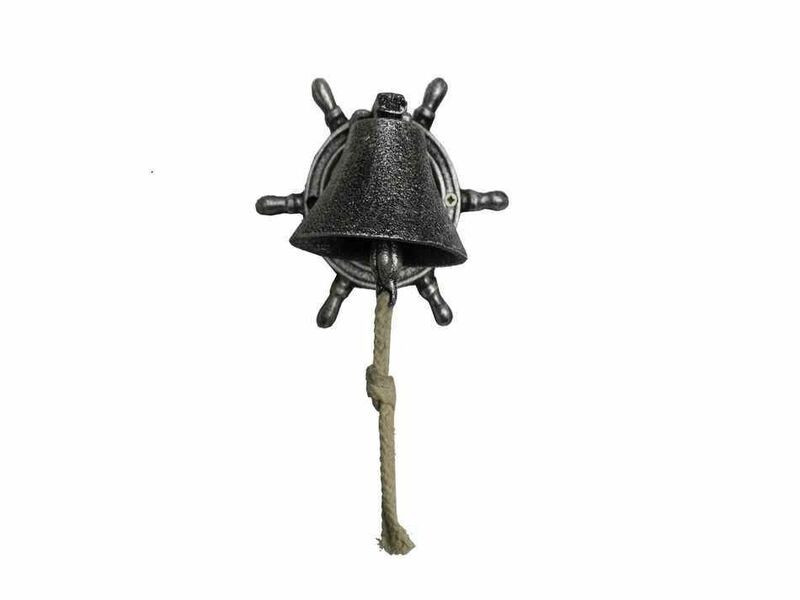 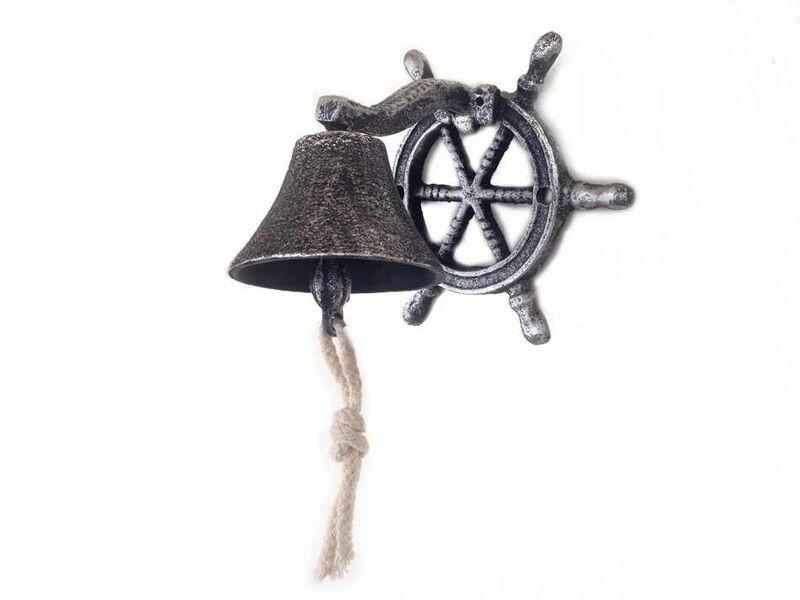 This beautiful Antique Silver Cast Iron Hanging Ship Wheel Bell 7" is a striking nautical décor addition to any room. 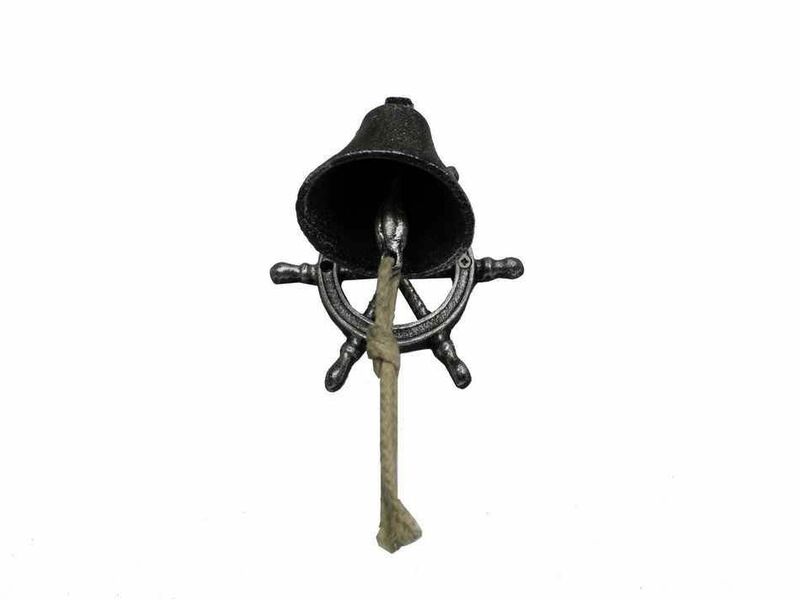 Allowing for easy decorative mounting, this fully functional cast iron bell is complete with it's rustic vintage appearance. 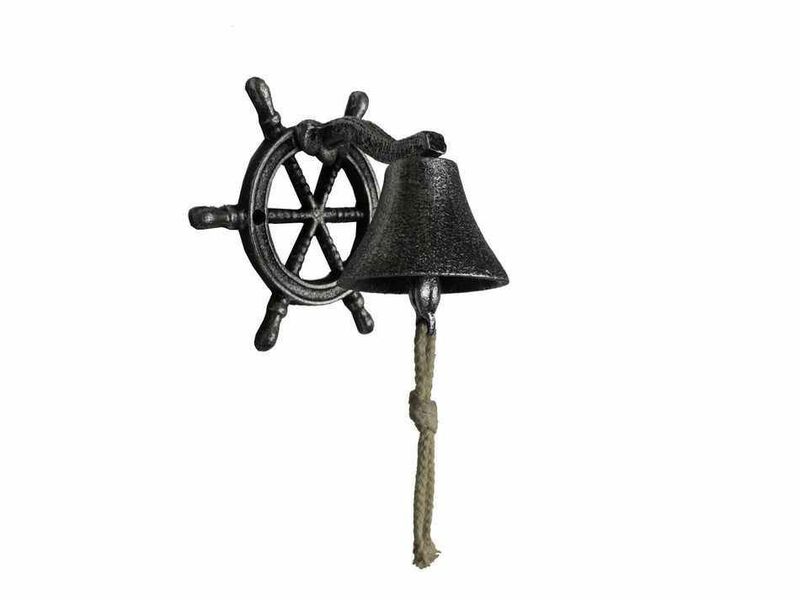 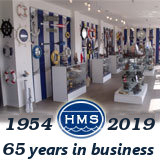 Display this rustic hanging bell to add a nautical theme to any room or space and show those who visit our home your affinity for the nautical sea-faring lifestyle.